Wayne Rooney’s career has had some highs and lows. Several of his lows, have been whilst wearing the England jersey. 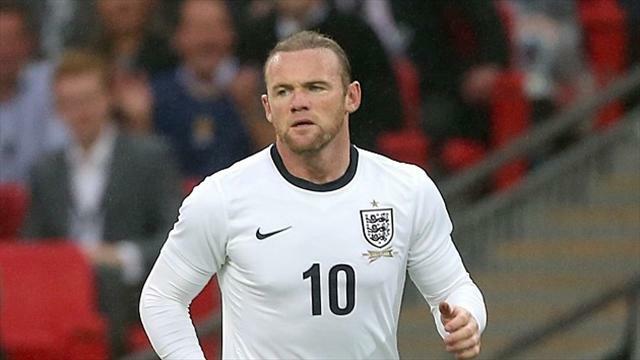 And now with the 2014 World Cup in Brazil less than 2 months away, I take a look at Rooney’s place in the England eleven. Rooney, now at the age of 28, has played in 4 major international tournaments. The only tournament in which he performed well, was his breakthrough tournament – Euro 2004. 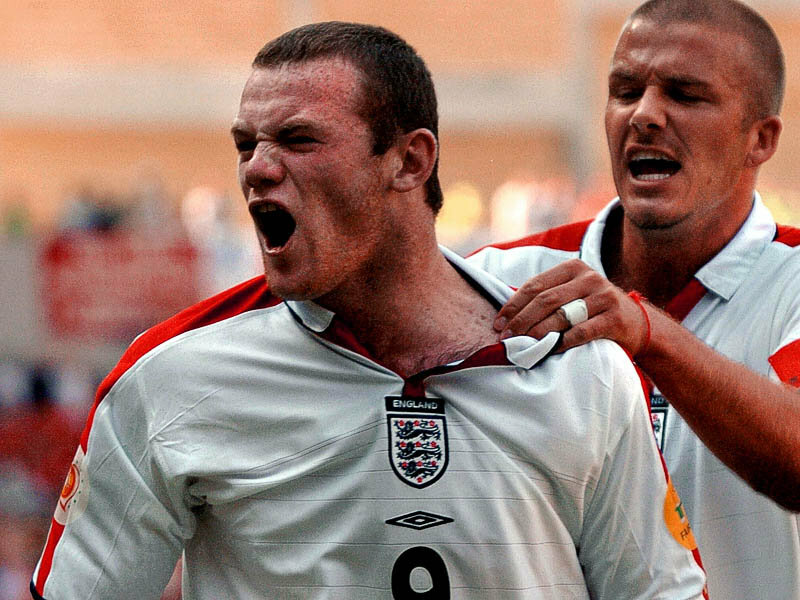 In Portugal, a young Rooney showed a real hunger, raw ability as well as great athleticism in helping England to the Quarter-Finals. He scored 4 goals and was named in UEFA’s team of the tournament. However, his England career since has flattered to deceive on the biggest stages. His qualifying campaigns haven’t been too bad. 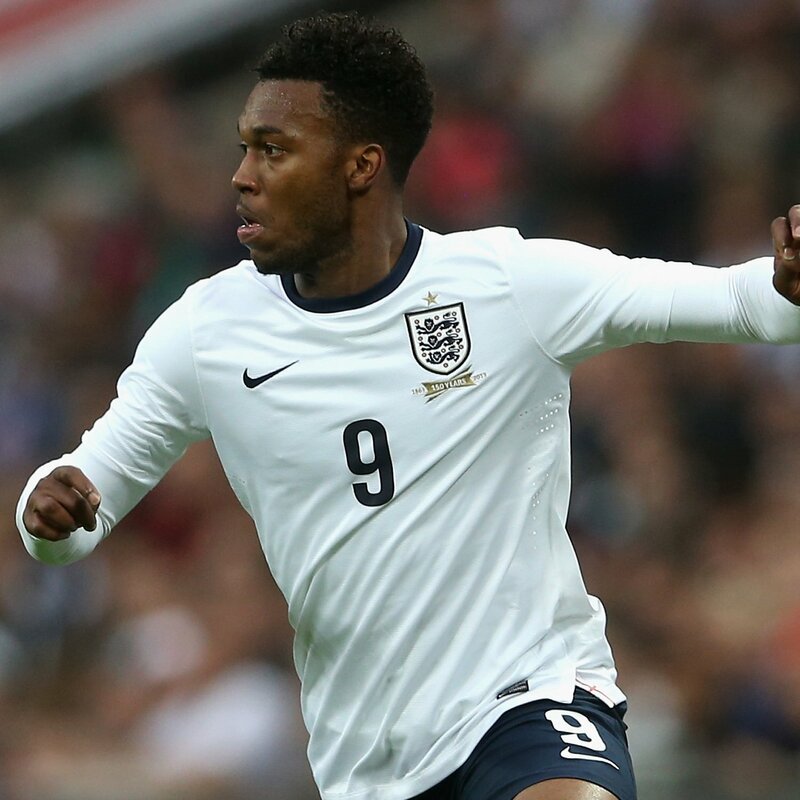 He has been England’s top-scorer in qualifying for the last two World Cups. He hit 9 goals in qualifying for the 2010 World Cup and 7 goals in qualifying for this summer’s World Cup. But his personal performances in the major tournaments since that 2004 breakthrough have been disappointing. In the World Cup in 2006 he was taken in the squad despite not being fit after a metatarsal injury in one of the final league games of his Manchester United season. When he was introduced to the team his performances were lacklustre and he was red carded in the Quarter-Final defeat to Portugal. 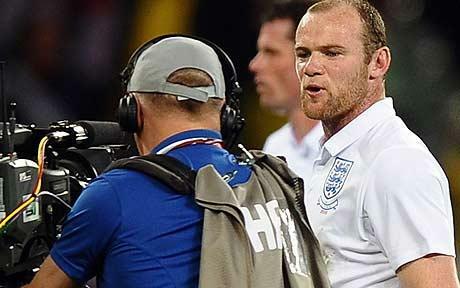 In 2010, the World Cup in South Africa actually saw Rooney criticise England fans in a rant into a TV camera as he walked off the pitch after a poor performance in drawing 0-0 to Algeria. Rooney was disappointing in the tournament and England were thrashed 4-1 by Germany in the 2nd round. Before the European Championships of 2012, there was much debate over whether Rooney should’ve been included in England’s squad. This was due to the fact that Rooney was suspended for the first two group games. Roy Hodgson selected him and he went straight into the team when he became available. Despite scoring the only goal in the final group game against Ukraine, Rooney’s performances in that and the Italy game in the Quarter-Finals were still underwhelming. I’m not suggesting Rooney should be left out of the squad altogether. Neither is this a piece to write off his talents altogether. He is a good player. He doesn’t possess the same burst of acceleration to take him away from defenders as he did so often in his excellent Euro 2004 campaign. But he remains a good player. However, I don’t go along with the Sky pundits and tabloid writers that repeatedly ram it down our throats that he is “world class”. Obviously that is a difficult term to try and define. But Rooney hasn’t performed against top opposition in a way that would actually suggest he is anywhere near the same level as Messi and Ronaldo. At one stage, Rooney may have been considered Ronaldo’s equal at Manchester United, but Ronaldo usurped him and eventually took over his position in the team, with Rooney having to play wide to keep a place in the team. In Alex Ferguson’s last couple of seasons, he would often leave Rooney out of his line-up for big games against the best sides. So did the Premier League’s most successful manager see a player in decline? More recently, Rooney has come under scrutiny after signing a deal for a reported £300,000 per week. For me, the only issue with that was how he, for a second time in just a few years, appears to have threatened to leave in order to engineer a massive pay-rise. But my opinions on the matter in hand aren’t affected by this. Manchester United can pay him whatever they like. And their supporters still idolise him despite his two half-hearted attempts at leaving the club. What has been apparent this season is that Rooney has been poor in most of the games against ‘top 5′ opposition. He’s played in 8 league matches against this season’s top 5 (Liverpool, Chelsea, Manchester City, Arsenal & Everton) and scored just 1 goal. I’d also point to games in the latter stages of the UEFA Champions League. Away to Olympiakos in February, Rooney was poor. Again in the away leg in the tie against Bayern Munich, Rooney was wasteful in possession, struggled to control the ball at times, and didn’t offer any attacking outlet for Moyes’ team, before eventually being moved back into midfield. Granted, Rooney may not have been 100% fit in this game, but if that was the case he shouldn’t have played. My belief is that Rooney no longer does enough against good opposition, to merit the status as England’s talisman and being the automatic-pick he seems to be for the starting eleven. Currently, England seem to have plenty of options in terms of attacking players. With several young players emerging as genuine talent in this season’s Premier League, Roy Hodgson has a bigger pool of quality attacking players to choose from. Daniel Sturridge, Ross Barkley, Andros Townsend, Raheem Sterling and Adam Lallana have all shown they’re capable of playing for England since the last international tournament. Add to those Alex Oxlade-Chamberlain, Theo Walcott, Jay Rodriguez and Danny Welbeck, and there is a very youthful and dynamic group of attacking players for England to choose from. Rooney is still part of this group. Of course he should go to Brazil. In terms of actual strikers, there isn’t much real quality behind Rooney and Liverpool’s Daniel Sturridge. Jermain Defoe’s transfer abroad could’ve scuppered his chances and Andy Carroll has spent most of the season injured. The only English striker to have enhanced his reputation in the last 2 years (besides Sturridge) is Ricky Lambert. So there isn’t a great deal to choose from in terms of centre-forwards. What I would be hoping Roy Hodgson will do, is choose a system that will give England the best chance of success, and then select the best/in-form players for each position. For too long, England sides have just tried to get all the big-name players into a team, even if it meant forcing players to play unfamiliar roles or unsettling the balance of the side. The most criminal example of this was forcing Paul Scholes to play left midfield in a 4-4-2 to accommodate the inclusion of Frank Lampard. Also, the persistence for years in playing Gerrard and Lampard in a central midfield partnership, when other countries would have chosen one of them to play at a time, alongside a more disciplined midfielder. This approach of putting square pegs into round holes is possibly through pressure from the English press, and managers not wanting (or being brave enough) to leave out a “big name”. If England are to get anywhere in a major international tournament, we have to place a team ethic above individual ego’s. The so-called ‘star names’ don’t all have to be in the team if form or the system being used dictates. Not many countries in the world cup will be starting games with 2 strikers in traditional centre-forward roles. This seems to be a thing of the past in the modern game and England themselves have finally begun to adapt in the last couple of years. If Hodgson does go with a single central striker, it is likely it will be either with two wide forwards on either side (4-3-3), or with three attacking players with a bit of freedom behind the striker (4-2-3-1). Both of these systems have been used by Hodgson in the last year or so. The question then becomes – where does this leave Wayne Rooney? If we’re looking at having one central striker, surely we should go with the man who has been THE outstanding English striker in the Premier League this season. With 20 goals in 26 league games, that man is Daniel Sturridge. It is not only Sturridge’s goals that have impressed. His great level of confidence and self-belief is rare in England internationals. He is skilful, quick, creative and able to beat a player in a 1v1 situation. What would be a travesty (yet sadly I can see it happening) is Rooney playing centre-forward while Sturridge is forced to play out wide. This would be a waste of Sturridge’s talents and another case of putting square pegs into round holes to avoid making a big decision by leaving someone out. The options for Hodgson include playing Rooney wide with Sturridge up top, playing Rooney in the middle of the 3 in the 4-2-3-1, playing Rooney up top with Sturridge wide or on the bench, or leaving Rooney out. Personally, I don’t see an argument for not playing Sturridge at the head of the attacking line-up. That leaves Rooney fighting for a place deeper in the team, or competing with Sturridge for that starting place and coming off the bench when needed. Currently, Rooney’s form isn’t so good that you would feel a huge need to have him in the starting line-up. And his ability to pick the ball up deep, turn and attack seems to have deserted him as he’s lost that dynamic edge he had earlier in his career. So to have him in a central role at the head of an attacking midfield area, in my opinion, wouldn’t utilise the attributes he currently has. I’d rather see someone with the intelligence and fluidity of movement of an Adam Lallana, an Oxlade-Chamberlain or a Ross Barkley in that kind of a role. To have Rooney in a wide attacking role makes even less sense. The apparent strengths that the modern England team will have, include being able to counter-attack quickly and have pacey, confident dribblers on the flanks. With the likes of Andros Townsend, Raheem Sterling, Oxlade-Chamberlain and even Danny Welbeck who is often used in a wide attacking role all available, they would all be better options for the good of the team in such a position. So with Rooney not in good club form (another poor display in the Easter Sunday game at Goodison Park), and with it being 10 years since his last positive impact at an international tournament, the time to leave him out of the starting line-up is now. Of course I would still take him in the squad. But I’d have him competing with Sturridge for that central striking role. I expect to be disappointed by Hodgson not being brave enough to leave out a player that the press/media have spent years hyping up. But it would be a great signal of intent to move England forward into a new era, if Hodgson goes with a more youthful, fearless and skilful attack, all without ego and willing to put the team first. Further ahead, Rooney will be 30 by the time the next European Championships come around. That will probably be his last chance to play in a major tournament in his prime. He shouldn’t be written off as an England regular, but as he may need to adapt his game. At present I don’t see him playing in the no.10 role he once did. He appears to me to be more of a no.9, without the quick movement between the lines and combination of strength and speed that saw him picking up the ball deep and running at defences in Euro 2004 all those years ago. Many have suggested that he would convert to be a central midfielder in his later years. That may be something he does depending on his club manager, but there would be doubts around whether he could find a new position and be competent enough with it to be international class in a new role. So Mr Hodgson, leave Rooney out of the starting eleven, for the good of the present England team. Cast your minds back a little over a decade and you will remember the English national team’s problematic left side. The left-midfield role was scarcely contested, and without much quality too. Nick Barmby and Trevor Sinclair benefitted hugely from this. The left-back slot was just as much of a problem. After Stuart Pearce’s long reign as England’s regular number 3 came to an end, Graeme Le Saux was a natural replacement during Glenn Hoddle’s spell in charge. Hoddle’s favoured 3-5-2 formation with wing-backs on either side ensured the position was Le Saux’s to lose as it suited his game down to the ground. Moving on, Kevin Keegan struggled to find a consistent performer at left-back. More often than not, Keegan played Phil Neville in a position which, despite claiming it as his favourite position, is not a position he was ready to play at international level at that time. When Sven Goran Eriksson took over in 2001, it kicked off several months of England caps being given out to any available, English, Premier League left-back. 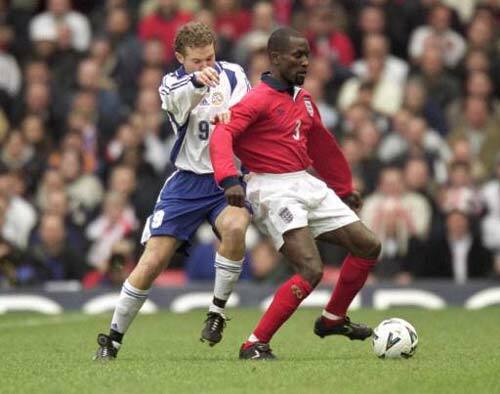 Chris Powell made 5 appearances for his country during this time and Michael Ball won a solitary cap. Gareth Barry was also trialled in this position but failed to make the position his own as he was still finding his way (and his best position) at Aston Villa in his early years as a professional. Ashley Cole thankfully came along and made sure that number 3 shirt was his for years to come. Initially the lack of competition may have had something to do with it. But the improvement in his defending, rather than showing a reliance on pace to get himself out of trouble, in the last few years has seen him become one of the best full backs, defensively, in Europe. Only now does Cole have real competition for his place. The maturity of Leighton Baines over the last 12 months has been a joy to watch. He has always been a player of great quality on the ball. He showed that in his time at Wigan. At Everton, Baines has grown in confidence year after year and formed an unrivalled partnership with Steven Pienaar down the left of Everton’s improving team. He is better technically with the ball at his feet than Cole, with crossing ability to put Cole to shame. 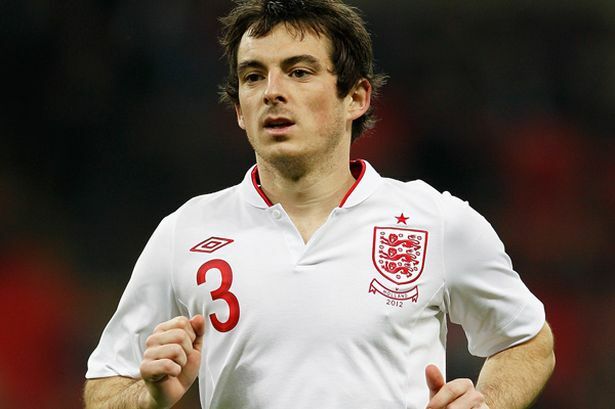 What perhaps lets Baines down in his challenge to become England’s left-back, is his lack of experience in big games. Rightly or wrongly, players at clubs taking part in the Champions League are always more likely to be picked for England. The rumoured move to Manchester United this summer didn’t materialise, but had it done, it would’ve been interesting to see how much closer Baines would be pushing Cole for that England place by now. Cole’s understudy at Chelsea is 23 year old Englishman Ryan Bertrand. At 23, Bertrand would have no doubt been hoping to have played more 1st team football than he has done. But on the other hand, he has played in a UEFA Champions League final. And he has the winners’ medal to show it. He played that night as a left-midfielder, as he has done on several other occasions, but he’s also an adept left-back with a similar playing style to that of Ashley Cole. He’s pacey, quick to get forward and he covers the centre-backs well when needed (essential as John Terry shows no signs of getting any quicker). This season Bertrand already seems to be trusted with more game-time by club manager Roberto Di Matteo. And this trust in him by a manager who is clearly confident he is ready for top-level football should see him really improve between now and next May. 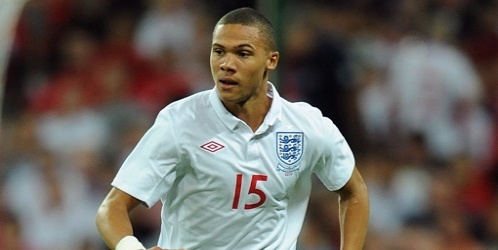 The 4th contender for the England left-back position is Arsenal’s Kieran Gibbs. The youngest of these 4 players, Gibbs has made a brilliant start to the 2012/2013 season. He appears far more confident and composed in possession. He is playing like he now believes he deserves to be playing at this high level. And last but by no means least, he will be benefitting from the addition of Steve Bould to Arsene Wenger’s coaching team. Bould was a part of Arsenal’s original famous back four and is already receiving many plaudits for the current side’s defensively solid start to the season. Gibbs will no doubt improve his education in the art of defending with Bould around. The 22 year old is already now keeping Andre Santos out of Arsenal’s team, despite the Brazilian only arriving from Fenerbahce 12 months ago. He will now be looking to add to his handful of England caps. So England have gone from throwing caps around like confetti in desperate searches for left-backs, to now having real competition of quality players in this position. And whilst these players aren’t necessarily all at the peak of their powers at present, the coming years will see the best of the three challengers to Ashley Cole’s number 3 shirt. Pictures courtesy of Allsport, mirror.co.uk, Getty Images and arsenal.com. 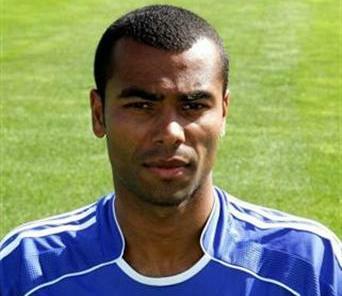 Ashley Cole is a player who has often been in the headlines. Whether it was for his personal relationship and its breakdown, his on-the-pitch exploits, his training ground air rifle incident, being banned from driving or his controversial move to Chelsea in 2006 he has often dominated front and back pages of the national newspapers. He burst onto the scene as a professional footballer with Arsenal in the 2000/2001 season, profiting from an injury to Silvinho to show his promise in the Gunners’ first team. He made 228 appearances for Arsenal before eventually signing for Chelsea in August 2006, after a drawn-out affair that involved a ‘tapping-up’ meeting with Chelsea officials in January 2005. He has been a regular in the England set-up since his debut in 2001 and has virtually been an automatic pick for most of the last 11 years. His time with England has also had its ups and downs for Cole. At one time he was booed by England fans at a few home matches at Wembley. And comments that came out in the media quoting Cole as saying “I hate England and the people” didn’t help his cause in 2010. But he has always performed fairly well for England. Perhaps giving his best performances in recent years as he has grown and improved as a player. His athleticism was always strength of his as a youngster, but now he has fused that with excellent positioning, one-on-one defending and timing of his tackles. After winning 5 major trophies (excluding the Community Shield) in his 6 full seasons at Arsenal, he has surpassed that in his first 6 seasons at Chelsea with the Champions League winners triumph on Saturday being the 7th major competition’s winners medal he has picked up in that time. Whilst surprisingly he won more Premier League winners medals at Arsenal than he has thus far with Chelsea (two to one), the Champions League victory and the fact that Arsenal haven’t won a single trophy since he left should eliminate any doubt that he made the right decision to switch from North London to West London 6 years ago. There is also no question that Cole has improved as a player as a result of his time at Chelsea. Arsenal under Arsene Wenger are said to spend very limited time working on defending in training, which can only be to the detriment of young defenders like Cole was at the time. At Chelsea he has worked under Jose Mourinho, Carlo Ancelotti and Guus Hiddink – all known for being fantastic coaches and all known for having well-organised defences. Cole has reaped the rewards of this and has obviously been keen to improve. The young marauding left-back we saw at Arsenal is now a solid, reliable left-back who is rarely beaten, both in the air and on the ground. He still gets forward to support attacks but chooses the time to do it more effectively to ensure it doesn’t imbalance the team or leave them too exposed at the back. He has come up against the likes of Cristiano Ronaldo, Arjen Robben and Theo Walcott, all offering different problems, and has not been outclassed in any of those battles. The 2011/2012 season has been a dramatic one for Cole. Chelsea struggled for form under previous manager Andre Villas-Boas in the first half of the season. Cole found himself out of the team as Villas-Boas seemed to want to re-build the Chelsea team with younger players. A key match for Cole was the Champions League second round 1st leg away to Napoli. Cole was left on the bench, along with other experienced players, but was called upon just 12 minutes in when Jose Bosingwa limped off injured. Chelsea went down 3-1 that night in Naples but Cole made a crucial goal-line clearance to keep the score at 3-1. By the time the second leg came around, Villas-Boas had been replaced as manager by interim boss Roberto Di Matteo. The Italian restored faith in the senior professionals and they all starred in a brilliant 4-1 victory at Stamford Bridge to ensure progress to the quarter finals. Two brilliant defensive performances against Benfica in the quarter-finals were followed by two world class performances against Barcelona in a dramatic two-legged semi-final. 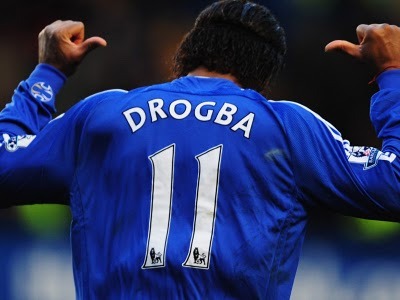 Cole was exceptional at Stamford Bridge as Chelsea defeated the holders 1-0 thanks to Didier Drogba’s goal. He was then faultless in the Nou Camp as ten-man Chelsea fought off wave after wave of Barcelona pressure to draw 2-2 and make the final. In front of a worldwide audience in the UEFA Champions League Final of 2012, Ashley Cole confirmed his standing as a truly world class left-back with another master class performance at full-back. Facing the likes of Ribery, Robben and Lahm, Cole was rarely beaten, made another key goal-line clearance and was fantastic as Chelsea soaked up almost constant pressure from Bayern Munich to take the game to a penalty shoot-out. Cole showed nerves of steel to score a penalty in the shoot-out and help his side on the way to the trophy that has eluded them since Roman Abramovich began to plough his millions into the club in 2003. Whilst he is not perfect and could improve on his delivery into the box when in good positions to cross, he has developed over the years to the point where he can now be considered one of the best left-backs in world football. The speculation surrounding the vacant England managerial position still seems to point to Tottenham manager Harry Redknapp being the favourite to be approached for the job. I believe the Tottenham hierarchy should accept any FA approach to speak with Harry Redknapp as it could be the key to turning the North London club from a team challenging the top four of the Premier League into to a club challenging to win the Premier League. The injuries to Bale and Lennon at different times gave Tottenham a major problem. They are two key players in Tottenham’s pacey attacking style and they didn’t really have any like-for-like replacements of anywhere near similar quality to replace them with. That said, it was a mistake to move the pivotal figure of his team (Modric) out of the centre of his midfield. All this did was disrupt another position in the team, forcing a further change to the line-up, whilst also restricting the influence Modric was able to have on games from a wider starting position. Kranjcar or Rose coming in for Lennon or Bale would have been a better option and would have caused less disruption to a side that was previously in good form. With Rose replacing Bale on the left, the side could have retained the 4-4-1-1 shape and Rose’s pace could have even maintained the way in which they attacked down that flank. Similarly on the right, putting Kranjcar in for Lennon would have meant only one change to the team and would have seen a clever player in a position that he has played many times during his time in England. You could point to the transfer activity in January as key to the failure to deal with the injuries and lack of squad depth. Spurs allowed Steven Pienaar to sign for Everton on loan late on transfer deadline day and failed to ensure they signed a replacement. As it turned out, Pienaar would undoubtedly have been the first name in Harry Redknapp’s thoughts when Lennon, and later Bale, were injured. There could also have been raised eyebrows over the decision to allow Vedran Corluka to leave on loan whilst not bringing in a replacement who could provide back-up for Kyle Walker at right back. Kaboul has deputised at right back when necessary but hasn’t looked entirely comfortable with his positioning in this role. The lack of strength in depth at Tottenham is well documented and I’ve already hinted at two instances of this when they suffered injuries in wide areas. You could look at the manager for not looking to bring in reinforcements in the right areas. You could suggest it is down to the manager to rotate the side slightly and give game-time to fringe players to keep them at a level where they could step into the team at any moment and perform to the required standard. You could counter that with the argument that that back-up players just aren’t good enough, but then you’re back to the initial failings of the manager’s transfer activity. All of the above points have contributed to Redknapp being exposed as not having a successful ‘Plan B’ to turn to when his thin-on-quality squad was stretched in key areas. In some games Redknapp has adopted a 4-3-3 formation with Bale and van der Vaart in floating attacking roles behind a main striker. This is not a formation Redknapp has used before and should not be confused with the 4-4-1-1 regularly used with van der Vaart behind Adebayor in attack. This change to 4-3-3 was only implemented because Aaron Lennon was still out injured Redknapp didn’t trust anyone else to step into his boots on the right of midfield without continuing to waste Luka Modric in this position. When the difficult run of fixtures began, Rafael van der Vaart was also unfit and struggling with injury. Against Manchester United and Everton, Redknapp went with a 4-4-2 formation and lost both in the absence of the Dutch creator. As well as the injuries to Tottenham players forcing changes to their own team, there is also the suggestion that other teams had found a way to play against them. That they had found a way to counteract Spurs’ quick attacking style and attack them when the time was right. Chelsea demonstrated at Wembley in the FA Cup Semi-Final how to absorb Tottenham’s attacking play, limit them to just a few shots on target, and exploit frailties in a tired defence. Even during this game, Redknapp’s choice of substitution and tactical alteration in the second half directly led to Chelsea ceasing the initiative in the final 15 minutes and running our comfortable winners. Tottenham need to capitalise on their improvement in the last few years and take this opportunity to develop themselves so that they can become title contendors. But to take the next step it is vital that they have a manager who is as tactically aware as they come. Someone who could mastermind victories in high-pressure games, implement suitable tactics for different opponents and positively change games with substitutions and tactical tweaks. 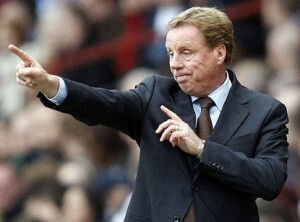 There’s no doubting Harry Redknapp is a good manager. But as Kevin Keegan showed with Newcastle in 1996 – man management and motivational skills will get you so far, but you need that extra tactical awareness to implement a ‘Plan B’ or even a ‘Plan C’ when things aren’t going well or when teams find a way to play against you. I would suggest Redknapp has taken Tottenham as far as he can, and that they need a manager of the tactical astuteness of someone like Rafa Benitez to take them forward and compete with the best teams in England and Europe. So whilst the uncertainty around the England job remains, Daniel Levy and the Tottenham Board would be wise to accept any approach from the FA to speak to their current manager. Pictures courtesy of watchmeruletheworld.com and ladbrokes.com. Whilst most of the post-match talk will be of the goal that shouldn’t have been, Chelsea gave their finest performance of the season to show they mean business as they remain in 2 cup competitions and chase a top 4 league finish. Didier Drogba reminded us all of what he can do with a fantastic goal that was a throw-back to the Drogba that physically dominated opposition defences prior to his malaria scare in late-2010. Holding off ex-Chelsea defender William Gallas, Drogba pulled a long ball from Frank Lampard out of the sky and rolled Gallas beautifully before lashing an unstoppable shot past another former blue Carlo Cudicini in the Tottenham goal. This has become an increasingly rare sight in the last 18 months as Drogba doesn’t seem to bully centre-halves or have the explosive burst of acceleration that he did before suffering from the disease. But he showed he still has the ability to score goals in the big games with one of the best goals to grace the new Wembley stadium. That goal came two minutes before half time and gave Chelsea a lead they deserved after seeing off an enthusiastic start from Tottenham and eventually controlling the pace of the game. Tottenham’s only effort on goal in the first half being a Rafael van der Vaart header cleared off the line by John Terry. As the second half began it was Chelsea who started quickly and looked the likely team to score the next goal. They couldn’t have predicted that it would come in such controversial circumstances though, as replays showed the ball hadn’t actually reached the goal-line before it was cleared. Referee Martin Atkinson, who was in charge at the Emirates Stadium one week ago and failed to punish Mario Balotelli for a dreadful tackle on Alex Song, gave the decision without the help of his assistant and awarded Chelsea their second goal. Initially, that goal seemed to spark a bit of urgency into Tottenham. And they pulled a goal back 7 minutes later when a Scott Parker through ball found Adebayor one-on-one with Chelsea ‘keeper Petr Cech. The Togolese front man rounded Cech and was brought down, but referee Atkinson rightly waived play-on as Gareth Bale was there to pass the ball into an empty net unchallenged. There was then a lengthy delay before the action re-started, as David Luiz received treatment before eventually leaving the field to be replaced by Gary Cahill. This allowed emotions to simmer down on the pitch and the momentum that the goal would have given Tottenham had lessened somewhat when the action did re-start several minutes later. Spurs began to throw more bodies forward in search of an equaliser. But Chelsea still looked the more likely scorers, looking dangerous on the counter attack with Kalou, Ramires, Mata and Drogba all looking dangerous. A spell consisting of 4 successive Tottenham corners was about as dangerous as Tottenham looked as they struggled to test Cech enough in the Chelsea goal. With 15 minutes remaining, Harry Redknapp replaced Dutchman van der Vaart with striker Jermain Defoe and as such changed to a 4-4-2 formation. This proved to be part of Tottenham’s downfall. Although they had to do something to try and rescue the match, this change allowed Mata, who had become more influential in this second half and had outshone Luka Modric all afternoon, to get on the ball a lot more and find space in between the Tottenham midfield and their under-performing defence. It was Mata who, after playing a simple but effective one-two with Frank Lampard, advanced towards the Spurs goal unchallenged through the centre of the pitch and lofted a brilliant ball for Ramires to lift over the advancing Cudicini to make it 3-1 on 77 minutes. Frank Lampard added a fourth for Chelsea with 9 minutes left. Hitting the back of the net directly from a free kick, although questions should be asked of Cudicini as the ball sailed into his net at a good height for a goalkeeper and into the side of the goal he was covering. Chelsea then brought on Malouda for Ramires, and shortly after Torres for Drogba, as concentration on the Blues bench undoubtedly turned to Wednesday evening’s clash with European Champions Barcelona. The one blemish on this Chelsea performance was John Obi Mikel’s kick out at Scott Parker for which he was lucky to only receive a yellow card. Parker was uncharacteristically enraged at this, perhaps showing his frustration as it dawned on Spurs that they would face a fourth successive trophy-less season, and was booked for his reaction. Sandro then replaced Parker in the 90th minute to prevent the situation escalating. The scoring wasn’t finished yet though as Mata capped a fine second half performance by playing another lovely ball through to substitute Florent Malouda to slot past Cudicini to ensure the final score was Chelsea 5-1 Tottenham. Mata and Drogba will have to be at their very best if Chelsea are to have any chance against Barcelona over two legs. But this dominant and clinical victory means they will appear in at least one final this season when they return to Wembley in three weeks to face Liverpool in the FA Cup final. Fulham have earned a lot of plaudits for their performances in recent weeks. Two matches in particular stand out when The Cottagers played well against higher-placed opposition but only came away with one point out of a possible six from the two games. The games I refer to are the 1-0 defeat against Manchester United and the 1-1 draw with Chelsea. With more belief in their own ability and bravery to take the game to their opponents, Fulham could well have come away with anything up to six points from these two games. In both matches, Fulham played with their 4-2-3-1 formation. Although the three attack-minded midfielders were so deep it practically made it a 4-5-1 set-up that began both games. At Old Trafford against United, there is still a certain fear that exists amongst visiting teams that prevents them from really believing they can get a result at the biggest club ground in England. I wouldn’t say Fulham had too much of this fear as such, more a lack of belief in their own ability to take the game to United without allowing the champions to take control of the game. Fulham played some nice football in the first half and were unlucky to go in at half time a goal down after Wayne Rooney struck three minutes before the interval. Dembele and Dempsey in particular had caused the United midfield problems with their movement and Pogrebnyak ensured it wasn’t an easy night for Ferdinand and Evans despite not having many chances himself. In the second half, United began to dominate possession but without really threatening to add to their one goal advantage. But Fulham still didn’t throw caution to the wind against a United side clearly not at the races. It wasn’t until Martin Jol sent on captain Danny Murphy with just under 20 minutes to go that Fulham began to play higher up the pitch and get more bodies forward in support of the previously isolated Pogrebnyak. In the dying minutes, United were hanging on against a side that suddenly had the belief that they could get something out of the game. And a Michael Carrick tackle on Danny Murphy as the former Liverpool midfielder surged into the penalty area failed to make contact with the ball and was wrongly ignored by referee Michael Oliver. That was a huge let-off for United. The closing stages must have left Fulham fans thinking if they had gone for it a little earlier in the game, that United were there for the taking and their side could have managed to rescue at least a point. For Chelsea’s visit to Craven Cottage, Fulham were missing Pavel Pogrebnyak. Clint Dempsey played the lone striker role just a few days after becoming the club’s highest scorer in a single Premier League season. Fulham again started the game very cautiously, having good spells of possession but not really testing Petr Cech in the Chelsea goal or getting their attacking midfielders high enough up the pitch to do any real damage to their West London neighbours. As at Old Trafford just a few weeks previously, Fulham found themselves on the wrong end of a questionable penalty decision. Despite replays suggesting he might have been wrong to do so, referee Mark Clattenburg awarded Chelsea a penalty which Frank Lampard tucked away just before half-time. As the second half progressed Fulham still seemed reluctant to come out of their shell and let their talented attacking players – Dembele, Frei and Duff – push further upfield and have a little freedom to roam and find space. Again, Fulham showed themselves to be very comfortable on the ball and not afraid to keep possession when put under pressure. In the final 15 minutes, however, the home side seemed to consciously begin to attack Chelsea. Perhaps finally sensing that this is not a great Chelsea side and that they possess enough ability in their own ranks to go toe-to-toe against anyone when they are on form, especially at Craven Cottage. Riise began bombing forward from left full-back, as he had become famous for earlier in his career at Liverpool, and Damien Duff played ten yards further forward and pinned Ryan Bertrand back for the first time in the match. The crowd could sense an equaliser was on the cards and after a run of corners were Chelsea were uncharacteristically poor at dealing with, Dempsey managed to head home for his 16th goal of the season. By this time Martin Jol had sent on Orlando Sa to add a physical presence to Fulham’s attack – further evidence of Fulham’s growing belief during the game. Fulham were still the better side in the closing stages and were looking more likely to find a winning goal. As Chelsea brought Drogba on and moved Torres to the right hand side, Ivanovic was left exposed several times, no longer receiving the support that Ramires had offered him for the first 83 minutes. This was an avenue Fulham exploited as they pushed for a winner but they eventually had to settle for a point as it finished 1-1. This is not intended as a criticism of Fulham or their manager Martin Jol. The Dutchman is building a good team that plays football the right way and is still in transition from the Mark Hughes team he inherited. The change in the forward line of Zamora and Johnson in front of a midfield four has been changed for the continental-style 4-2-3-1. A change which isn’t always successful straight away. Fulham now appear to be getting to grips with it and are showing they can match the ‘bigger’ clubs in the league on their day. But if Fulham had been a little braver in believing in the talent in their team, they could have come away from Old Trafford with at least a point and could easily have beaten Chelsea. Maybe next season, as Jol’s players become more and more comfortable with their formation, the manager himself will believe in his team a little more and be brave enough to take the game to the opponents in games like these. This Canadian 21 year old has been a shining light in Blackburn’s struggle of a season. He great pace, dribbling ability and a fearless direct approach to attacking his opponents. As with most inexperienced wingers, his end product can be a little inconsistent. But this could be said of many wingers of far greater experience than Hoilet, and that is unlikely to deter any potential suitors when the transfer window re-opens. At the time of writing, Hoilet has 13 goals to his name in 60 starts for Blackburn. He’s also shown his versatility in being able to play on either flank, as well as being paired with Yakubu as a centre-forward on several occasions. He already seems to have matured and grown as a player, even since last season when he still appeared as slightly raw. But the rate at which he’s improved, created chances and scored goals for a struggling team is bound to attract interest from clubs higher up the league that have the money to put in a bid to match their interest. The Sunderland left-winger has had a huge impact on Sunderland’s season. After completing a £350,000 transfer from Derry City last summer, Steve Bruce was reluctant to give McClean a chance in the first team. Instead preferring him to gain some experience of English football by playing in the reserve team until Christmas. McClean only ever appeared as an unused substitute under Bruce. Bruce was then sacked as Sunderland manager in late November and was replaced by Martin O’Neill. In O’Neill’s first game in charge, McClean was sent on as a second half substitute with Blackburn leading 1-0 at the Stadium of Light. McClean helped his team complete a dramatic late comeback as the Black Cats scored twice in the final 6 minutes to turn the game on it’s head. McClean has not looked back since, going from strength to strength and being rewarded with a new three year contract in March. The fact that he has recently signed a new contract could either act as a deterrant to other clubs, or it could just push any potential transfer fee much higher than it would have been on his original contract. But for a man who turns 23 this April, he may be tempted by the lure of European football if a suitable offer comes in. His ability is not in question. He can beat players, is physically strong, decent in the air, quite quick and has an eye for goal. The only gamble for any potential interested parties is whether he can sustain such good form over a longer period of time. Fulham’s talented 24 year old has added to his growing reputation with a string of impressive performances in midfield this season. A key thing to note here is that Dembele’s contract expires in the summer of 2013. It is thought that Fulham are in the process of trying to agree an extension to his current deal, which as it stands could see him leave for free at the end of next season. If no new deal is agreed within the next couple of months, it may be that Fulham would rather recieve a fee for him now rather than see him leave for nothing 12 months from now. A player they only signed for £5million from AZ Alkmaar in 2010 would surely more than double their money if sold, after showing a stylish touch and technique that could see him fit comfortably in a team chasing honours or playing European football. Bolton midfielder Mark Davies is a player who has developed really well in the last couple of years. He is an energetic, intelligent midfielder who links up well with players around him. He isn’t afraid to run with the ball and always seems to have good awareness of what’s around him when he receives the ball. He seems to have flourished under the management of Owen Coyle at Bolton and at the age of 24, still has room for improvement. Much like Dembele, he doesn’t have an impressive goal return for a midfielder. And he hasn’t been a consistent starter at Bolton, with nearly half of his appearances coming as a substitute in his 3 years at the Reebok Stadium. But his quality on the ball, spatial awareness and energy in midfield could attract clubs with more financial clout than Bolton. And if Davies has ambitions to play for England, then he would surely be tempted to move to a club where history suggests players are more likely to be selected for England. After expressing a desire to leave Tottenham last summer, Modric eventually settled down to return to the Spurs side after Chairman Daniel Levy defiantly refused to sell him. He has again performed admirably this season, being an essential part of one of the most entertaining attacking teams in the country. However, Modric may be slightly frustrated that Tottenham still don’t appear to be ready to mount a serious challenge for the Premier League title. As well as the way he has been forced to play on the left or the right of midfield in the absence of Gareth Bale or Aaron Lennon in recent months. For someone who is really the focal point of the Tottenham team, and is an integral part of the way they play, manager Harry Redknapp damaged the Tottenham side by limiting the influence Modric was able to have on games from this position. Last summer the potential buyers were Manchester United and Chelsea. United are still lacking that something special in central midfield so could still be interested to find a replacement for Paul Scholes. Whilst Chelsea would almost certainly welcome him into their side where he would no doubt link up well with the gifted Juan Mata. But after Tottenham’s insistence last year that he would not be leaving so soon after signing a 6 year contract, the same outcome could occur whether Modric wishes to leave or not.